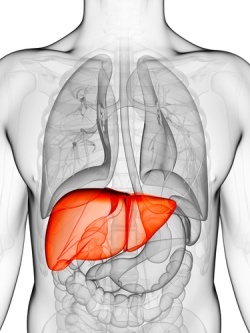 Some 29 million Europeans suffer from chronic liver disease. It is one of the most common causes of death in the EU and doctors believe that tens of thousands of early deaths could be avoided with the right healthcare once the condition is diagnosed. A typical patient, Martin still has to visit the hospital every six weeks, first for a blood sample, then a few days later for the consultation to discuss the results. ‘Active involvement in my own care would be a boon to me,” he says. One of the aims of D-LIVER is to hand back control to the patient. By developing the home monitoring and support system, connected to a central liver patient management system at the hospital, the project focuses on improving quality of life for patients at an advanced stage of the disease. Such patients might be waiting for a transplant; they may have undergone liver resection, where the remaining organ is undergoing regeneration; or they may have unstable advanced disease, prone to episodes of deterioration. Colleagues of Prof McNeil at Newcastle University, studying the economics of such a system, estimate it will save thousands of euros a year in hospital admission costs per patient, particularly those with hepatic encephalopathy.